Run your wrists under cold water for 5-10 seconds as a time. This will help cool your blood and internal temperatures and can help you regulate yourself to the heat. Take a cool or tepid shower right before bed as it can cool your body temperature down before you drift off to sleep. Make sure to keep the water from being too cold as sometimes our body’s will warm up more in response to cold water. Wear light and breathable clothing the second the weather starts to heat up. Not only will this keep your body temperature down, it’s a great idea when your going outside as the light colors will reflect the sunshine and keep you cool! Keep the curtains and blinds closed while the sun is shining bright outside. This will help keep the temperature in the home lower and block out extra heat that might creep in. When the night falls and the outside air starts to cool, you can re open all your windows and doors to let the new, fresh cold air in. This will really help for sleeping at night as well. Sleep with light or no bedding on the bed. You want to really pair down what bedding you sleep on and with during the summer as it can cause restlessness and sleepless nights. Try sleeping with just a single sheet if the temperatures are really hot, this will allow your skin to breathe. For extra hot night, store your pillowcase or sheet in the fridge for a few hours before bed, for an extra cold sleep! Take advantage of natural light as long as you can and do your best to keep your indoor lights off. The light bulbs give off a decent amount of heat that may be adding to your hot days and nights in your home. Once it starts to get dark outside, try to run on limited lights to keep your home and yourself cooler. 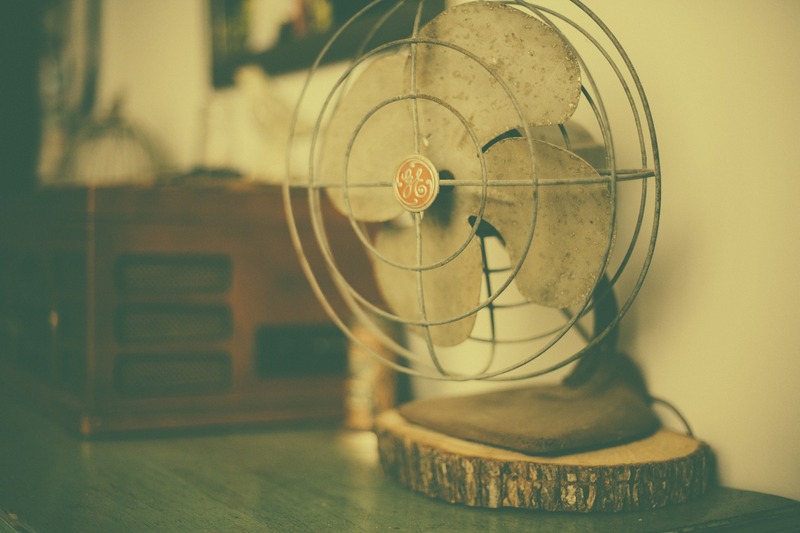 What is your favorite way to keep cool this summer? Share it with us below!